Thanks for the once-over Clay overall. Then again, now that I think about it, my use of Gear for Attack was largely for giving my players limited customizable layout when it came to giant robots and similar player balancing. I think it's safe to say that I don't need to do such a thing for "infantry" scaled characters. 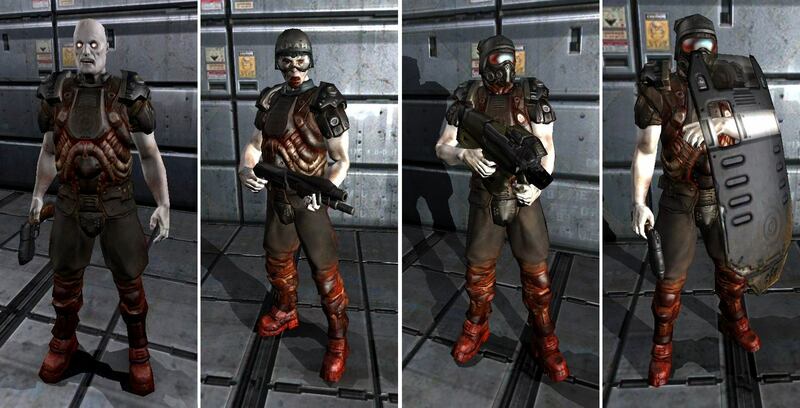 Anyway, I've edited the Doom 3 interpretation of the Zombie to remove the Gear Ability. And while we're on that particular tangent, any thoughts for the following mook profiles such as my Fat Zombie? A former human, either living or dead, possessed by the ethereal denizens of hell. 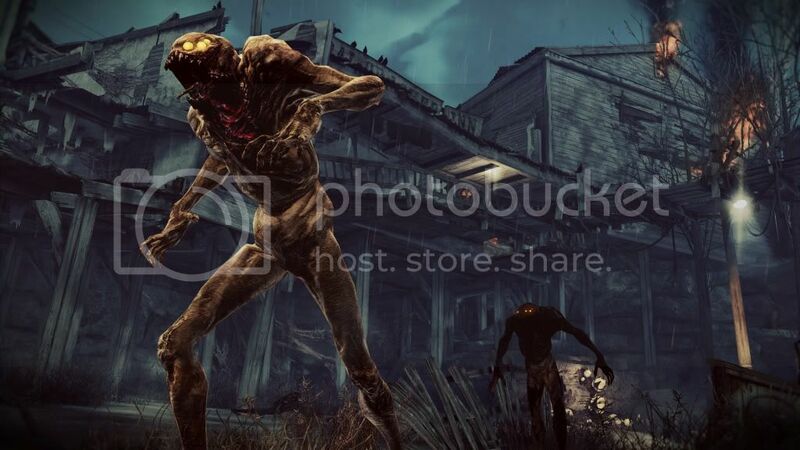 Little different than the average Zombie outside the added bulk of the body core that is able to absorb more blows and thus last longer in a firefight. 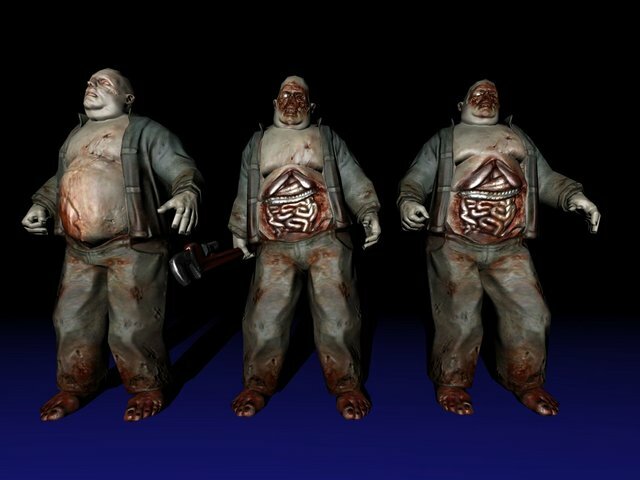 Though the added bulk makes the Fat Zombie even slower than most other Zombie types, it is able to run faster and close the distance much more quickly. Last edited by Sabersonic on Thu May 11, 2017 1:05 am, edited 1 time in total. 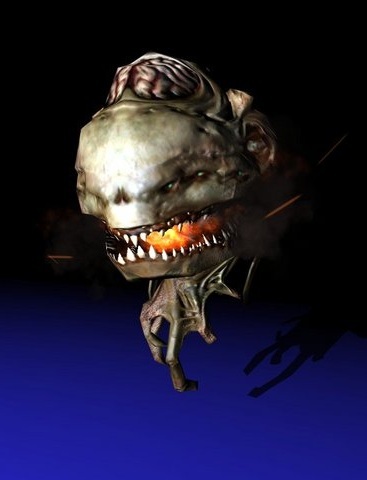 Let's not forget this newer addition to the legions of Doom 3's hell. One of the more common daemons of hell that have taken corporeal form, the Imp can be described as the “foot soldier” of Hell’s armies. Along with its razor talons and fangs, the Imp is able to lob fire balls at its prey when they are just out of arms reach. Like many Hell daemons, the Imp is able to teleport in order to ambush their targets, most often from behind. Last edited by Sabersonic on Mon Sep 12, 2016 4:12 am, edited 3 times in total. And for the Resistance series, let's introduce it's version of the "zombie horde"
Largely considered a “Half-baked Hybrid”, the Grimms are an unintentional byproduct of the Spinner strain of the Chimeran Army. Though an undesired effect of the Spinner Conversion Process, they none-the-less are a formidable force by the Chimeran Army to sow chaos and confusion deep within the ranks of hostile forces and even against civilian targets upon the homefront through the use of Spire Missiles. It has been observed that Grimm that reach the edge of their lifespan become the volatilely explosive Leaches. Though the Grimm strain are one of the weakest of the Chimeran Army, barely more durable than a Menial, the speed and agility of the Grimm make them difficult to take down. In a large group, the Grimm becomes a viable military threat. Additionally, the Grimms serve as additional vectors of the Chimeran Virus to convert human beings who survive a Grimm attack into a Grimm themselves. Quick question? Considering that the Grimms don't need to kill humans to infect them with the virus and turn them into more Grimm, would the Unique be instead "Turns Injured into Grimms" at +5? Last edited by Sabersonic on Thu May 11, 2017 1:06 am, edited 1 time in total. And let's round this off with something from the Dead Space franchise. 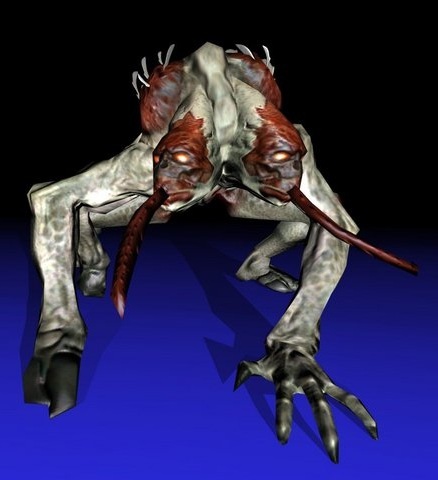 One of the more commonly encountered Necromorph during a typical outbreak and more often than not the direct cause of one, they are called such due to the fact that they populate the necromorph horde with new members via infecting corpses and converting their bodies, often violently. However, they have a preference to target corpses that have pre-existing head wounds so that they do not have to expend so much energy to drive the proboscis and inject the yellow infection fluid. 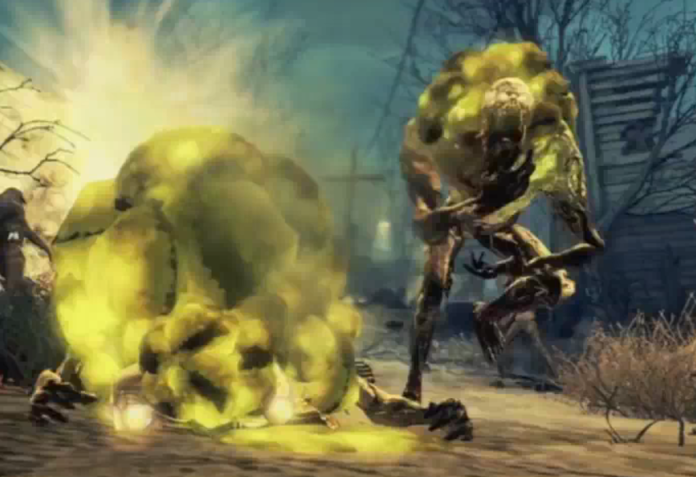 As the sources of nearly all types of Necromorph outbreaks, Infectors are primarily created from infected living beings with the first sign that of the victim aspiring yellow bile-like liquid from their mouths, and largely or initially due to the influence of a Marker. The Infectors also comes in enhanced forms that are more resilient to damage due to being formed from more necrotic biomass i.e. decayed corpses. Oh! And before I forget, are these profiles sound or do they need some alterations? Last edited by Sabersonic on Thu May 11, 2017 1:07 am, edited 2 times in total. Okay, after discussing things with some of my current build with Malancthon via Skype, I've edited both the Imp and the Maggot so that the ability to crawl on walls isn't a knowledge. However, there's still the issue of how to address the fact that the Maggot has an extra head under OVA2e terms. In the other system I derived my build for each on, there was the ability to act multiple times within a single round without incurring penalties. Since Time Freeze just doesn't sound right for the Maggot, I reasoned that a separate Perception Ability would be idea to showcase the extra head thing. Mal, however, considered trying to find a way to use the Multiple Action rule on p108 to reflect that. Does anyone have else have an alternative? Mal, however, considered trying to find a way to use the Multiple Action rule on p108 to reflect that. To clarify, I was thinking the extra head could provide a similar benefit as Time Freeze "While this Ability requires you to perform an action, you may offset the Penalty for acting multiple times (p. 108) by your Level in Time Freeze"- whether this would be an inherent ability or another Unique Ability: Extra Head. I thought I had somewhere that there was a similar boost for dual wielding weapons. I could be confusing books, though. Extra Actions allow an NPC to take a number of actions equal to the number of PCs present without penalty. But Maggot is not a boss. I'd allow the Maggot a flat 1 extra action without penalty. Well, after giving it some thought, I figured that I'll just give the Maggot a +3 Unique "Extra Head" with the note that it gives it an extra action. And speaking of that particular franchise, let's move on with the Flaming Zombie. A former human, either living or dead, possessed by the ethereal denizens of hell. Largely, their manner of movement and psychology is similar to an individual diagnosed with Consciousness Deficit Hypoactivity Disorder or CDHD1, though with the exemption of a slightly higher intelligence due to the daemonic entity within. This level of intelligence can range from the use of improvised weapons such as wrenches and flashlights to operating as a group to coordinate attacks in order to overcome their physical limitations. Last edited by Sabersonic on Thu May 11, 2017 1:08 am, edited 1 time in total. For the daemonic side of Doom, we have the Wraith. 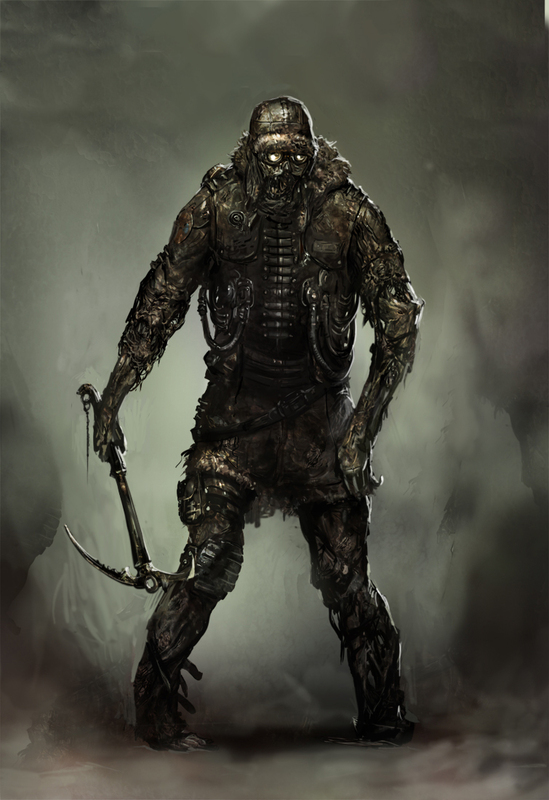 One of the more common daemons of hell that have taken corporeal form, the Wraith can be best described as an assassin-covert ops trooper of Hell’s armies due to its ability to transport itself a short distance away to close a distance with its prey into melee-ranged combat with its anthropoid falx-like arms. 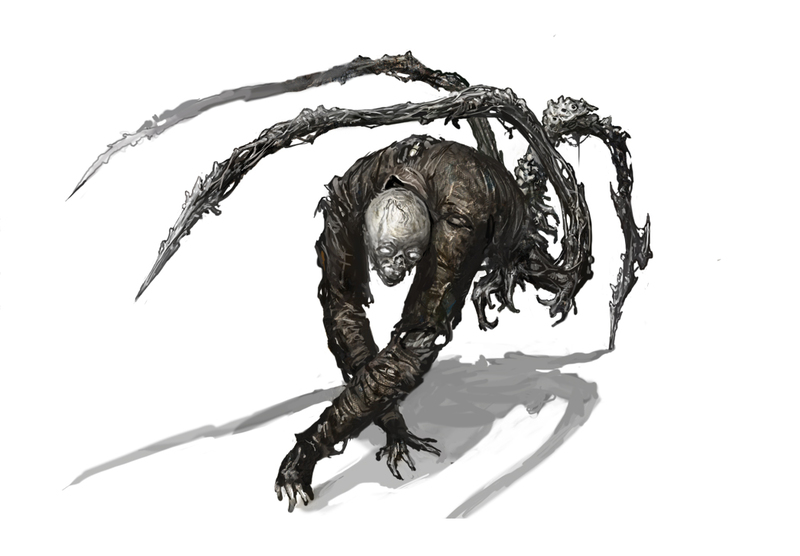 Combined with the innate ability to teleport in order to ambush their targets from behind cover, this makes the Wraith that much more formidable and difficult to counter. Ever wondered what an old Chimeran Hybrid would look like? No? Uh....well... here's one anyway: the Grey Jack. The most common of the Chimera Strains, the Hybrid serve as the standard infantry of the Chimeran Army and thus populate the bulk of the advanced war machine of extrasolar origins. Though created through the conversion of a single human being, the Hybrid stand several inches taller than the average human being, are highly agile, and possess remarkable physical strength. Though a very savage enemy, akin to a wild animal or predator, the Hybrid is very keen and tenacious, able to quickly learn the tactics and mannerisms of their foes and adapt accordingly. 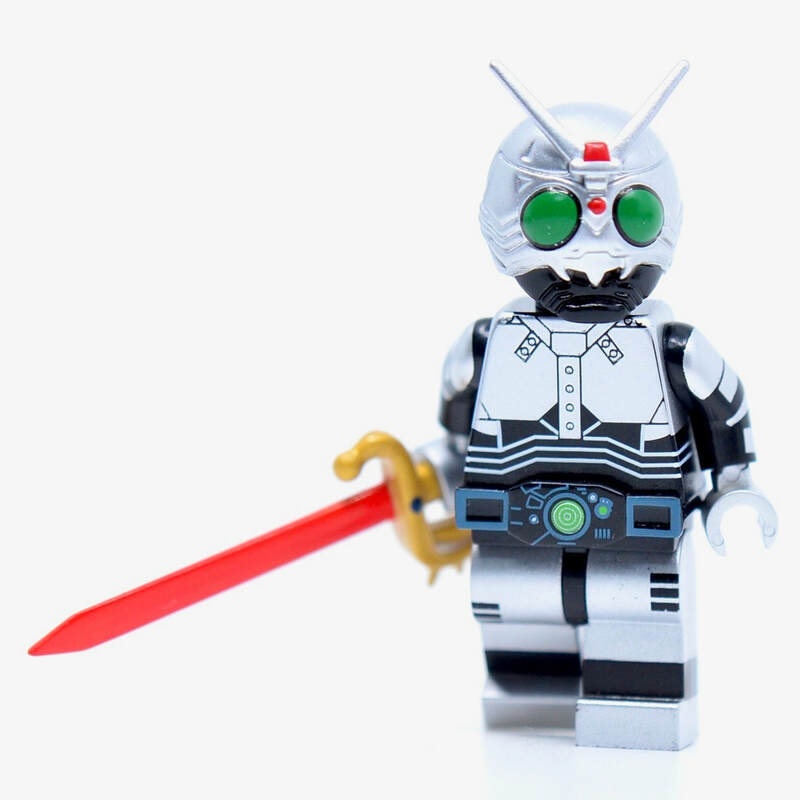 Since they populate a vast percentage of the Chimeran Army, the base Hybrid is separated into three types. Type Is are the standard, frontline infantry with very little armor protection. Type IIs serve as marksman and forward scouts through the sensor module mounted upon their heads. Type IIIs are noticeably more armored and serve as hardened security forces for high priority facilities to the Chimera. 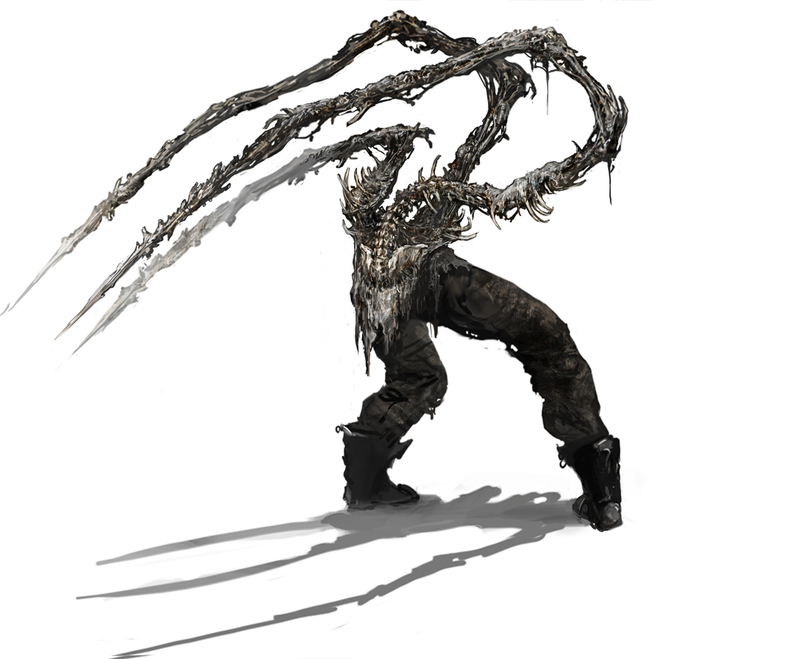 It has also been observed that aged Hybrids grow large in size with their limbs increase in length and more spindly and their Heat Stacks wear out, transforming them into what have been dubbed “Gray Jacks”. Last edited by Sabersonic on Thu May 11, 2017 1:08 am, edited 3 times in total. And rounding out this batch of mook baddies is the Leaper from Dead Space. 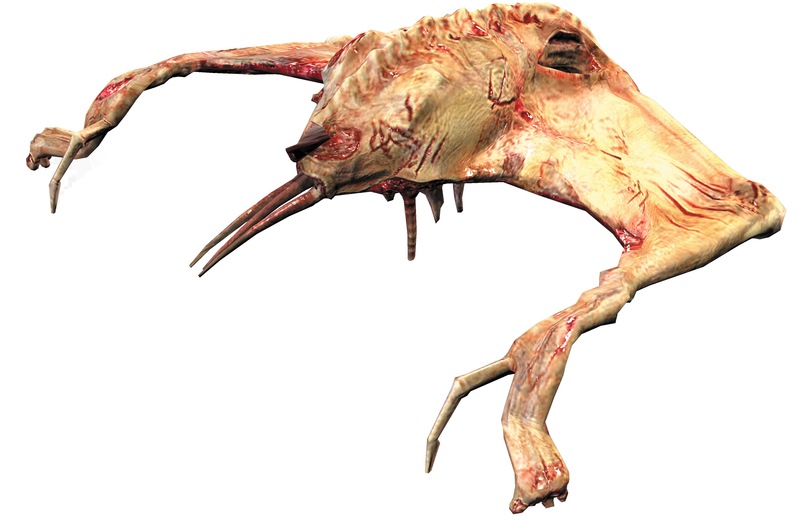 One of the more commonly encountered Necromorph during a typical outbreak; their name derives from their ability to jump great distances to attack their prey from their massive scythe-tipped tails. These tails were originally the legs and intestines of a corpse that have been twisted into the lethal appendage. These limbs work well for them in free-fall environments and where they most excel at. Leapers are also extremely difficult to kill at range due to their quick closing speed and their “jinking” movements when on the defensive to out maneuver and exploit an opening to kill their prey. 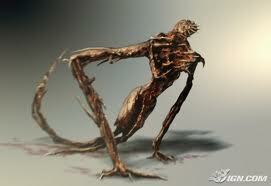 The Leaper also comes in an enhanced form that are more resilient to damage due to being formed from more necrotic i.e. decayed corpses in addition to more lethal leaping attacks. So then, do these conversions pass mustard or do they need some alterations? Okay, after looking back at my previous entries, it appears that I forgot to edit out the "Knowledge: Wall Crawling" on not just the Imp and Maggot, but also the majority of the Necomorphs. They have now been corrected. Speaking of the space zombie, let's start this off with the more normal looking from Dead Space 3: The Waster. 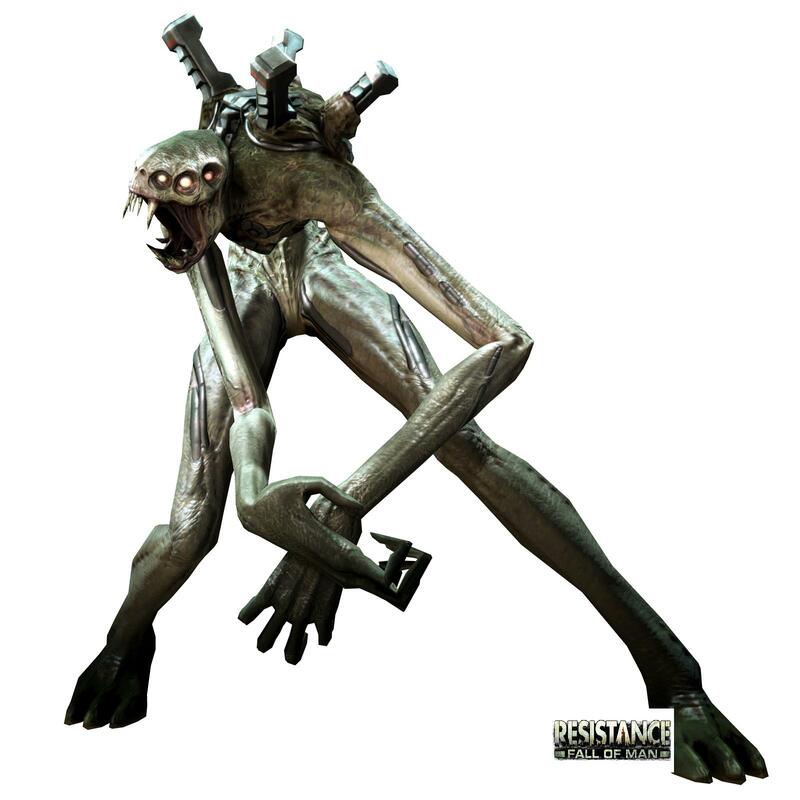 A seemingly innocuous individual, the Waster Necromorph is rather one of the more insidious in that it can still pose as a human being with the former living host’s clothing and overall silhouette. This allows the Waster to get close to an unsuspecting victim and kill them along with others near them that are not informed of the deception. The Waster is unique among Necromorphs in that it utilizes human tools and weapons as its primary means of slaughter rather than their own bladed appendages, but that does not mean that it cannot resort to such tactics if either the upper or lower torso receives enough damage to cause further mutations that replaces the damaged torso with three barbed tentacles. Would these be considered Accidental Transformation under OVA2e rules or is what I got satisfactory enough? Last edited by Sabersonic on Thu May 11, 2017 1:09 am, edited 2 times in total. And since in my last iteraton I introduced an aged Hybrid call a Grey Jack, why not introduce the aged Grimm called the Leech? An aged Grimm that has reached the twilight of its lifespan, the Leech is an unintentional byproduct of the Spinner strain of the Chimeran Army. Though an undesired effect of the Spinner Conversion Process, they none-the-less are a formidable force by the Chimeran Army as suicidal bombers and, in death, biological landmines that sow havoc and chaos within the deep within the ranks of hostile forces and even against civilian targets upon the homefront that have survived the initial onslaught of Grimms. Though the Leech strain are one of the weakest of the Chimeran Army, barely more durable than a Menial, the speed and agility of the Grimm make them difficult to take down. In a large group, the Leech becomes a viable military threat. Additionally, the Grimms serve as additional vectors of the Chimeran Virus to convert human beings who survive a Grimm attack into a Grimm themselves. Last edited by Sabersonic on Thu May 11, 2017 1:09 am, edited 1 time in total. And to round out the Doom 3 section of this installment, let's take a look at the Z-Sec. A former human, either living or dead, possessed by the ethereal denizens of hell. Little different than the average Zombie beyond the fact that it is donned in combat armor and is able to utilize firearms. Additionally, the Z-Sec zombies are quicker, faster, and more agile than the average zombie and thus are highly formidable in combat. Followed by its own Armory. 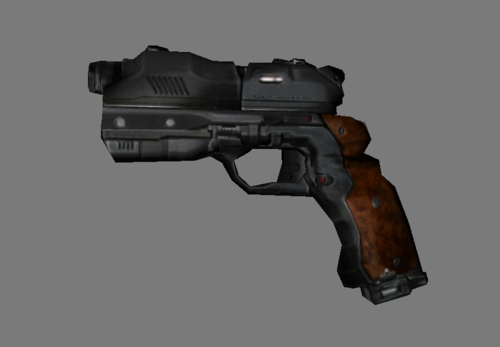 A close-quarter weapon that is largely for personal defense. Though not the most accurate or have the highest level of firepower, it does have the advantage of being simpler to aim and fire. A close-quarter weapon that delivers automatic fire to suppress hostile targets. A close-quarter weapon that delivers a high-stopping power attack with a wide spread against hostile targets. A spare reload for the Pistol, it can be used to fully replenish an otherwise spent handgun. As such, it can only be used once. 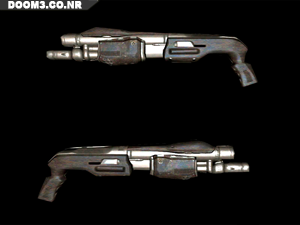 A spare reload for the Submachine Gun, it can be used to fully replenish an otherwise spent handgun. As such, it can only be used once. Last edited by Sabersonic on Thu May 11, 2017 1:10 am, edited 1 time in total. And lastly, we have the Cadodemon. One of the more unique daemons of hell that have taken corporeal form, the aptly named Cacodaemon can be considered a larger version of either the Lost Souls or Forgotten Ones in that it has no visible manipulative limbs, flies, and can bite with its massive jaws and teeth. However, it is able to project a fireball at range to its prey to either kill or weaken the victim until it comes in melee-range for its maw. Like many Hell daemons, the Cacodemon is able to teleport in order to ambush their targets, most often from behind. And that should be about it this time. So then, beyond the inquiries I noted in their individual entries, are there any issues with these conversions?